Everyone likes cats and dogs. But cats and dogs are not friends together. And only in our game puzzles cats and dogs together! If you love to collect beautiful pictures, then this game you will enjoy for sure! 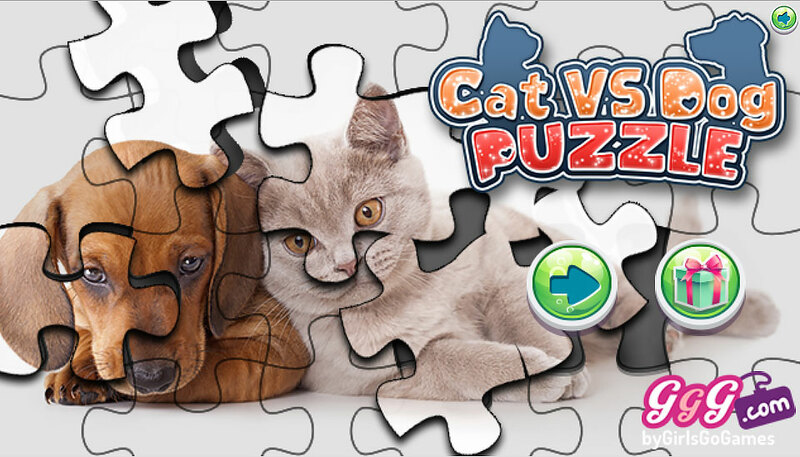 How to play: collect 10 jigsaw puzzles with cats and dogs and you will see what a great friendship happens with those cute but warring animals! In this game you can choose with the mouse any of the pictures and start the game. To puzzles mixed click on the cube at the top left of the game screen..
Did you play our Superdog game? Try and enjoy it. Played: 44379. Added: 8-01-2016, 18:27. Cats and gods puzzle game.